We are the location initiative for the Hamburg media and digital scene. As a hub of the Hamburg media ecosystem, we focus on supporting innovation-oriented cooperation between media and digital companies, universities, their students and committed drivers from Hamburg. We believe that open innovation processes are the lever for successful business ideas, entrepreneurial spirit and developing know-how. Our goal is to strengthen the media industry in order to secure and strengthen Hamburg’s leading position as a media location. We are jointly supported by the Senate of the Free and Hanseatic City of Hamburg and the Hamburg Kreativ Gesellschaft. Hardly any other place is home to so many important media companies of national and international significance. In addition to SPIEGEL, Gruner + Jahr and NDR, numerous major players in the global digital economy such as Google, Snapchat and Facebook operate their business in Germany from Hamburg. 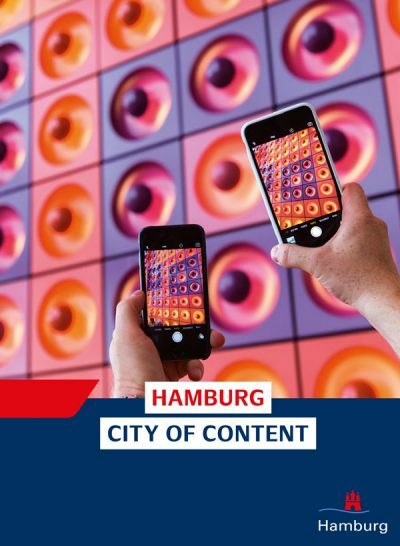 Its contribution to the preservation and development of the social and cultural public makes the media and creative industries an important sector for Hamburg. Nina Klaß has headed nextMedia.Hamburg since 2018. Before that, having taken a degree in business administration with a focus on marketing, media and organisational management, she worked for the SPIEGEL Group for several years. As Head of Digital Marketing, she was most recently responsible for the channel marketing of digital products as well as technology cooperation and numerous projects in this context. She was also involved in the Innovation Report, among other things. Nina is working on her doctorate on the topic of innovation and brand management and has since taught at the University of Hamburg. She advises freelance on various strategic issues. As a project manager, Nyasha Busse is the contact person for issues involving events and the community. She studied social economics with a focus on public and non-profit management at the Universität Hamburg as well as international media and entertainment management in The Hague. Before she found her way to nextMedia.Hamburg, Nyasha worked for advertising agencies in Hamburg, among others. As a creative head she is also active in the local music and artist scene. As a project manager, Bastian Springer is the contact person for issues involving innovation and communication. Bastian studied business psychology at the Leuphana and digital media University of Lüneburg as well as human factors at the Technical University in Berlin. Initially a trained insurance salesman and specialist, he previously worked for Volkswagen Financial Services AG in various positions for many years. He gained start-up experience at an IT company in Hamburg, where he was responsible for marketing and PR. Most recently, he was innovation and product manager at a medium-sized digital spin-off. As a hobby chef you can meet Bastian here and there with his food truck. Marc Eppler supports the innovation programmes as a project assistant. Raised in the south of Germany, Marc first studied IberoCultura and history at the Albert-Ludwigs-University Freiburg and the Universidad de Buenos Aires and gained experience in journalism, marketing and cultural mediation in various positions. Most recently, he was a press and public relations officer at the Franco-German cultural channel ARTE in Strasbourg, France. He is currently completing a Master's in Culture and Media Management at the KMM Institute of the Hamburg University of Music and Drama. In his spare time Marc can be found in the kitchen, on the cello, between books or behind the camera. Unser Träger unterstützt Kreative mit zeitgemäßen Angeboten und fördert Innovation im Rahmen des Projektes “Cross-Innovation Hub”. Mit Hamburger@work verbindet uns eine lange Geschichte. Der Verein lädt regelmäßig zu diversen Netzwerk-Veranstaltungen. Die Branchenexperten stehen uns ehrenamtlich rund um das Thema Bewegtbild zur Seite. Mit 12min.MEDIA haben wir uns der Reihe 12min.me angeschlossen: Hier kommen die Medieninnovatoren der Stadt zu Wort. Mit dem Know-how der dpa gestalten wir jedes Jahr im Rahmen des scoopcamps ein abwechslungsreiches Programm rund um den Journalismus von morgen. Bei unserem Prototyping Lab unterstützen die XR-Experten vom nextReality.Hamburg e.V. Unser Partner fördert und unterstützt innovative Medien-Start-ups aus ganz Europa. Die One Stop Agency ist zentraler Ansprechpartner für alle Belangen rund um das Thema Wirtschaftsförderung in Hamburg. Wir unterstützen aktiv das Weiterbildungsangebot der Hochschule. Darüber hinaus richten wir gemeinsam mit der HMS Hackathons aus. Nachhaltige Lösungen für gesellschaftliche Herausforderungen entwickeln: Das ist das Ziel der HAW. Im Rahmen des Prototyping Labs kooperieren wir mit der Hochschule. Kollaborationen zwischen Wissenschaft und Praxis dienen als Motor für Innovationsprozesse – deswegen ist die UHH unser Partner beim Protoyping Lab. nextMedia.Hamburg ist eine Initiative der Freien und Hansestadt Hamburg. Wir sind Teil der Hamburg Kreativ Gesellschaft mbH.